In off-grid power systems based on the Renewables, fluctuations in power supply – because of the nature of Green Energies – are inherent occurrences. To compensate this effect and to ensure a safe and uninterrupted power supply, the integration of conventional fuel generators into such power systems can often be the appropriate solution. Furthermore, using a generator, the battery bank can be minimized and thus dimensioned cost-effectively. SEI AG offers a selection of professional Geko gasoline, diesel and gas generators for stationary application. All generator types are manufactured in Germany and impress by their quality and reliability. The generators can be equipped with an electronic remote start functionality for fully automatic operation. This allows to turn the generator on and off according to the battery state of charge. To extend the generator’s backup time, additional tanks up to capacities of 150 liters are optionally available. Metallwarenfabrik Gemmingen GmbH & Co., established in 1961, is the leading manufacturer of Generators in Europe and is the biggest manufacturer of generators in Germany. Geko Power Generating Systems Co. Ltd products include fire brigades, generators and accessories worldwide. GEKO is also the supplier of NATO military products. 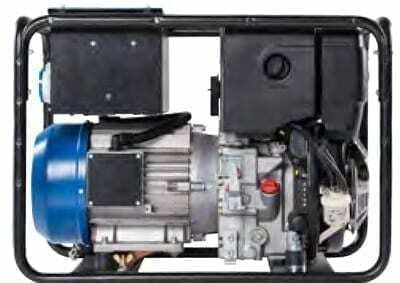 With a long term development and innovation, the company accumulated tremendous experience in generator sets industry. Join our ZERO Home Bills Community. BEST Products from the BEST Brands at the BEST Retail Prices available in your market on ZEROhomebills.com by Solaranna.